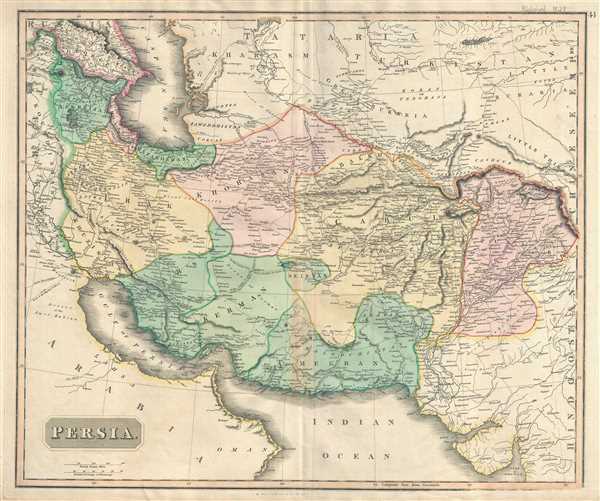 Early 18th century map of Persia and Afghanistan. This is a beautiful map of Persia and Afghanistan by Edinburgh cartographer John Thomson dating to 1817. It covers the region during a time it was controlled by the powerful Qajar Dynasty of Shahs. Extends from Georgia and the Caspian Sea eastward past modern day Afghanistan, Pakistan to India. Towns, rivers, mountains, islands and various other important topographical details are noted. This map was prepared by John Thomson for inclusion in the 1817 edition of Thomson's New General Atlas.